On Saturday and Sunday afternoons in the summer of 1995 when I lived in the market in Ottawa I would often go the National Gallery of Canada, because it was free, because I had nothing better to do. At first I was somewhat distrustful of their small but representative collection of modern and contemporary art. I was used to Impressionism. I was used to the Romantics. I did not understand industrial art–coloured steel sculpture of no discernible form. Or Newman’s Abstract Expressionism–a brilliant swath of tailored red down a blue canvas measuring twenty feet high. 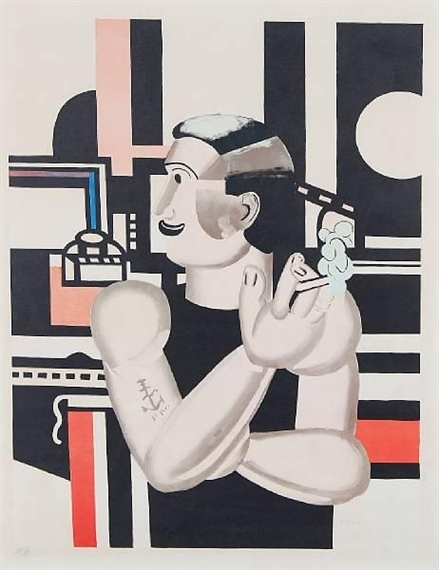 Eventually I began to understand and appreciate it ( read “Remembering Felix Partz” from my collection of essays Strange Ghosts if you want to know the details) and I remember coming across this painting by Fernand Leger (1881-1955), which, I hope, is still in the gallery. It seemed so damned gay to me. 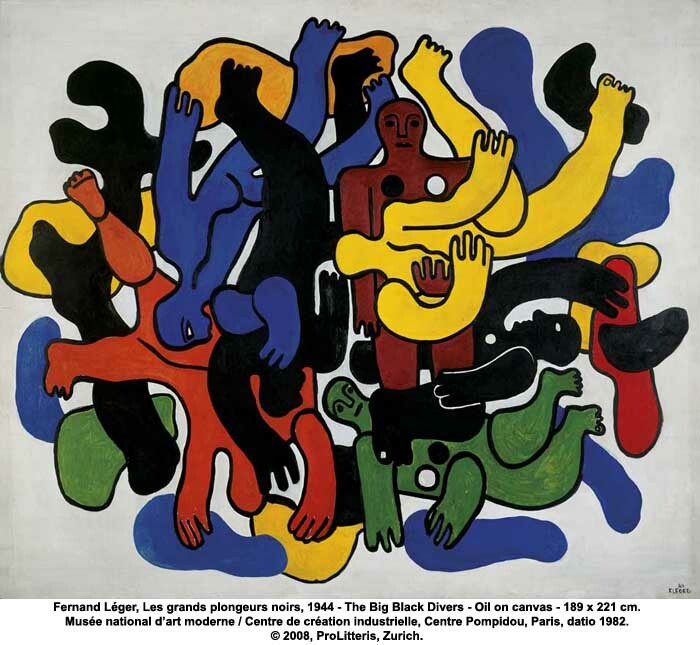 Leger was at first considered a futurist (Italian art movement in early twentieth century associated with abstract multi-media impressions of sounds, movement, early industrialization and the art of the future) but eventually simplified his canvases, and as such would be considered a fore-runner of the pop art of Andy Warhol, Roy Lichenstein and Keith Haring. I chose the below painting because it is so pop, and actually looks as if it could have been painted by Haring himself. I have to say: I don’t know if anyone reads these or not, but I am enjoying this self-refresher in art. As Peter Watson says, appreciating modern art is a difficult journey, but it is worth the ride.